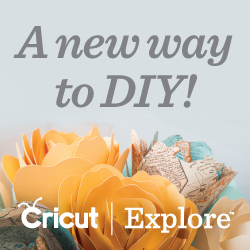 This event recap is sponsored by Minted. All opinions are of my own. 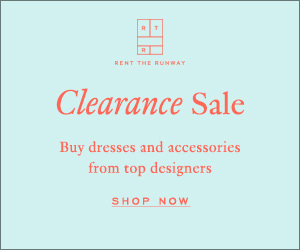 While I was at Alt Summit, I attended a dinner hosted by Minted on the first night. The hosts were incredibly hospitable and let us know they were eager to work alongside us on any upcoming projects and events. 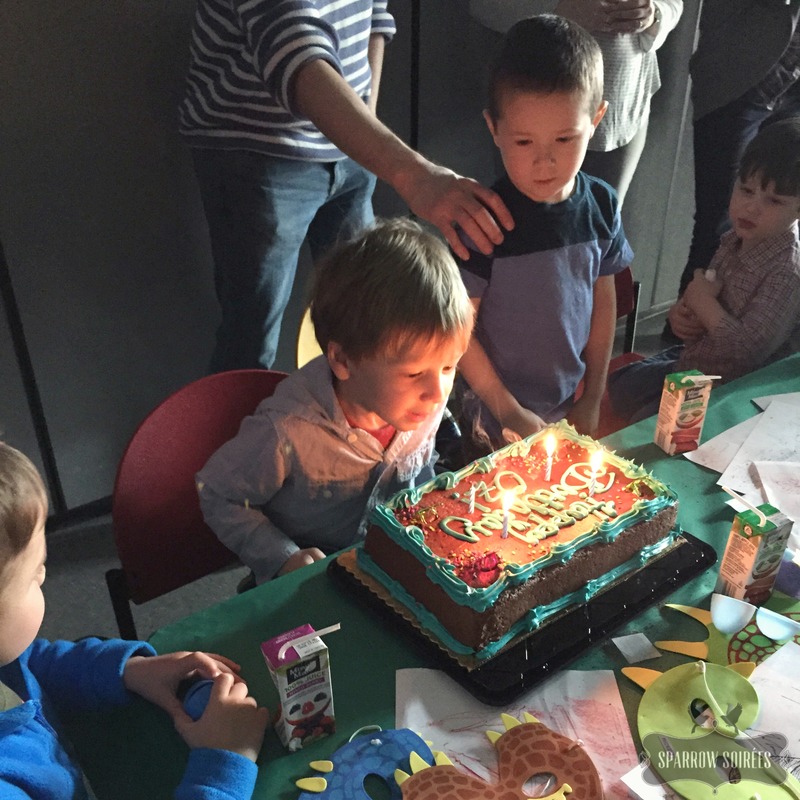 Fast forward to a few weeks after the conference: I realized with parental horror I hadn’t officially made plans for the Younger’s 4th birthday – and, yes, I spent what feels like another lifetime ago as an event planner; it’s a cobbler’s children situation around here. The thought briefly crossed my mind to have the party in our home – but the image of 15 or so preschoolers running around on a potentially rainy, chilly March day made me weak with fear. I called my main go-to tyke party place and found out they were already booked for our requested date. 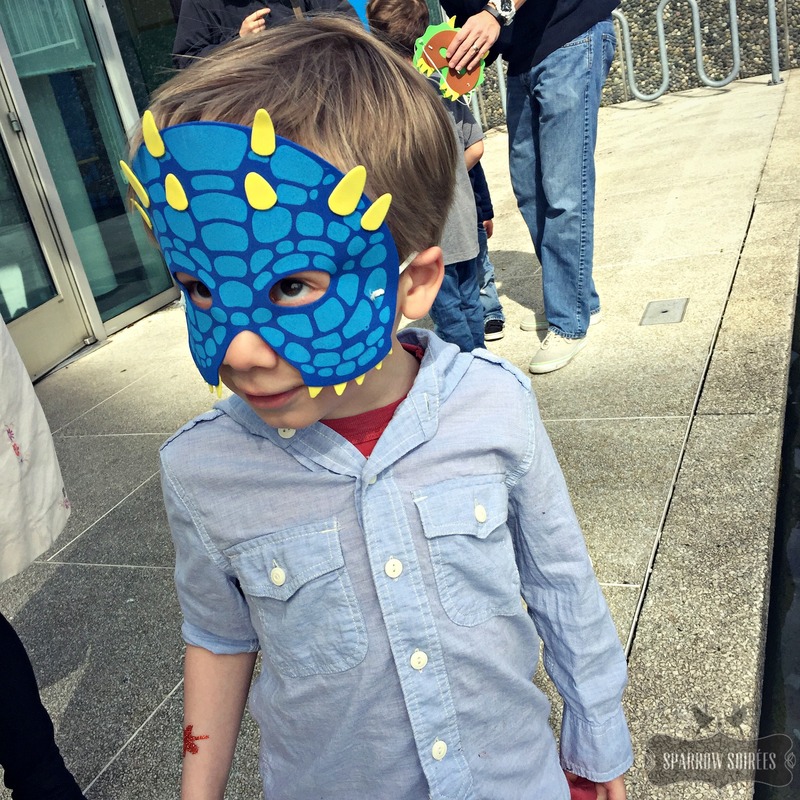 With growing parental guilt, I called the Pacific Science Center and crossed my fingers as I spoke with their event planner. 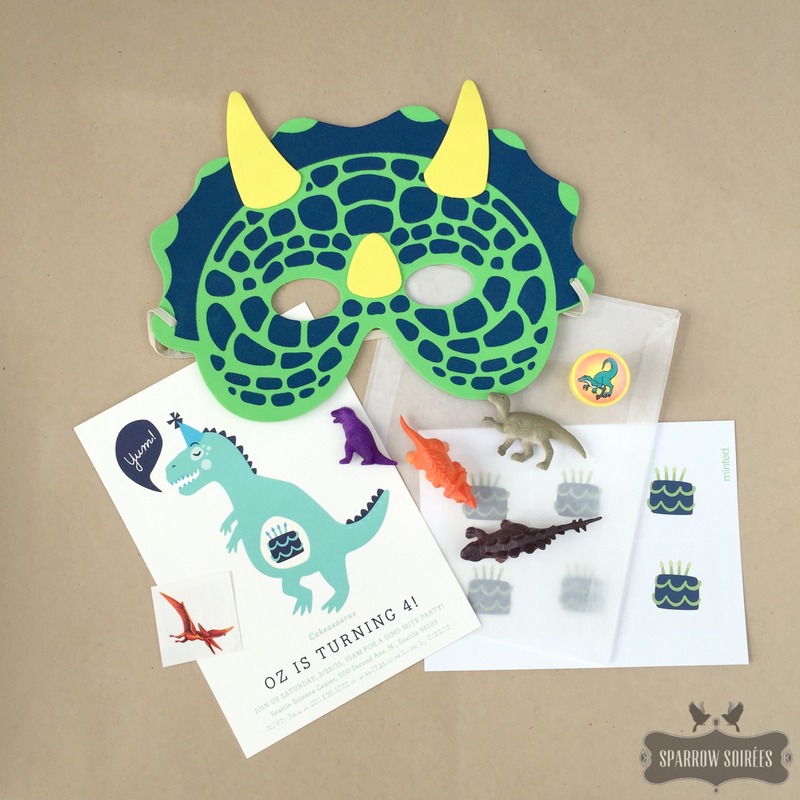 Dinosaur theme party for a group of preschoolers on our preferred date? CHECK! Next on the list: invitations. I reached out to the aforementioned gracious dinner hosts who were more than ready to lend a hand. 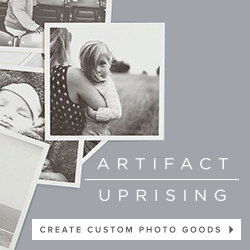 Minted’s site made it super easy and quick to create invites. There are so many great themes to pick from, including the fantastic Cakeasaurus design. So along with the invites, I ordered a matching banner and a few other signs. 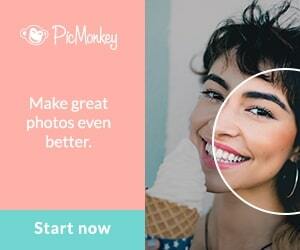 And – thank goodness! – everything arrived well ahead of the estimated date. The Younger’s birthday party was saved. The Science Center was fantastic party venue. 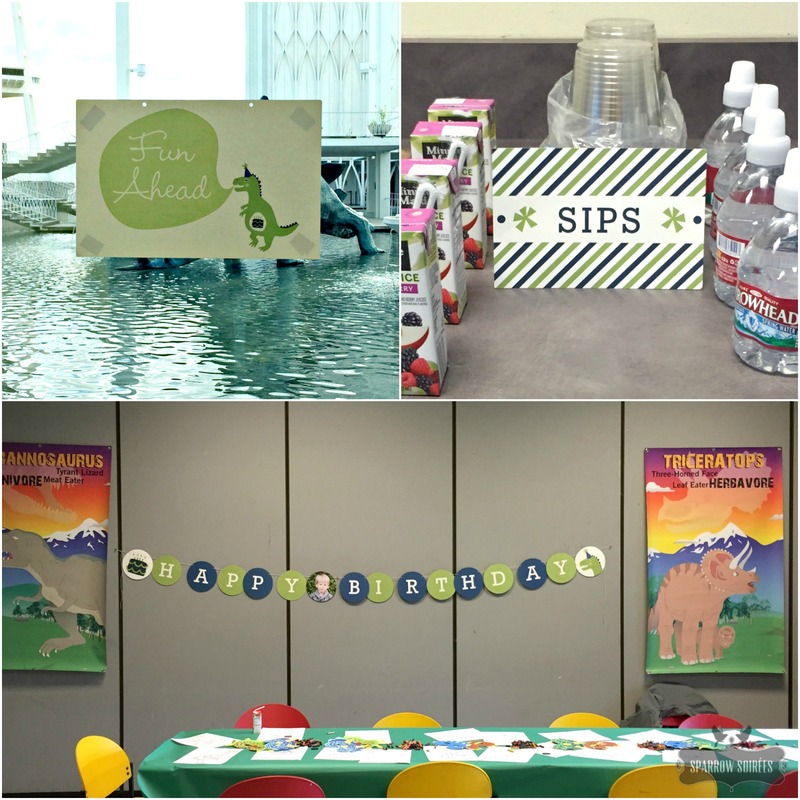 The only tricky part was we had 15 minutes to set up before the start time – so we quickly hung the banner and a directional sign, and sorted out the drinks for our little guests – all while making sure our boys didn’t run into a another room’s party. One of the main rules in event planning is to keep things simple as simple as possible when you’re tight on set-up time – and use every ounce of help a venue offers. Instead of attempting to haul in food, I used the on-site catering service for a few light snacks and the cake. I also put our party favor bags out so I wouldn’t forget them at the end of the party. I kept them fun and skipped the sweets knowing the kids would be wound-up from the party. 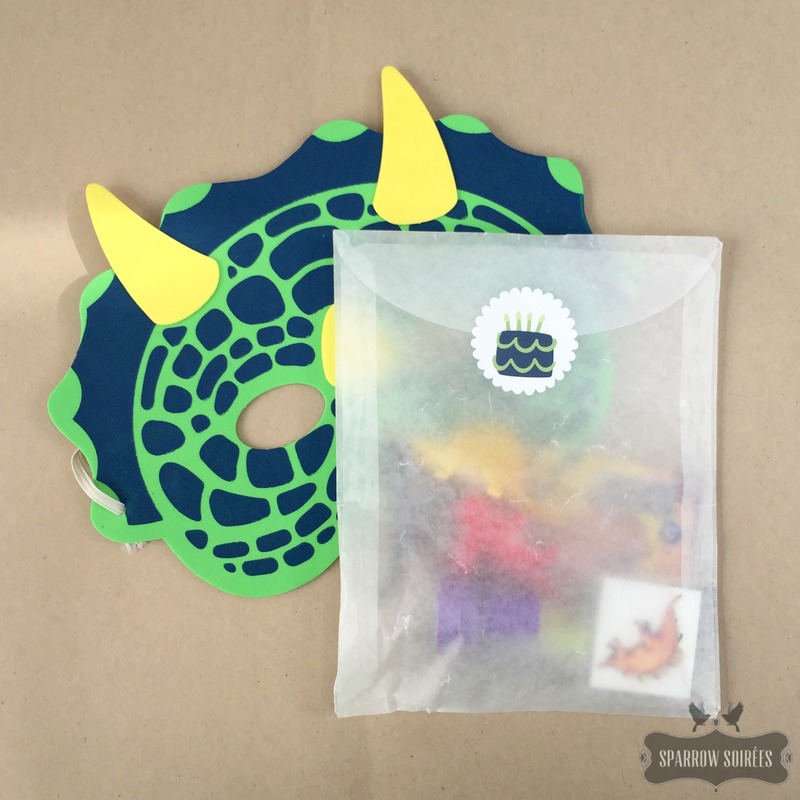 Using bags and stickers that matched the invite, I filled them with a dinosaur tattoo, a magic growing dino, a couple of little dino figurines, and a stamp. I scattered the masks on the tables for the kids to wear during the party if they wished. Basically the Science Center team handled all the party activities (a parent’s dream!). 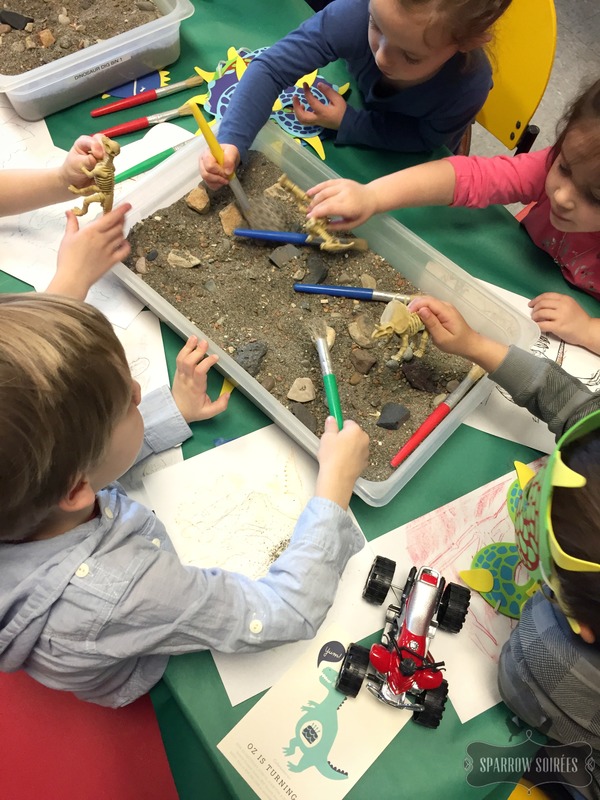 The kids dug for fossils and mini dinosaurs after coloring over stencils and making dinosaur eggs. For the grand finale, they made nitrogen ice cream before the singing “Happy Birthday.” After the party, while the staff cleaned the room (yes!! ), all the guests had access to the Science Center to explore before heading home. The Younger seemed to have a great time at his first “big boy” party. It was also a hoot to see his personality really come out (he greeted all his guests with a hug and a big smile). Happy 4th Birthday my Sweet Boy. May your smile always remain mischievous and your heart always full of love. 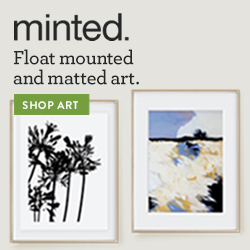 Thank you so much to Minted for sponsoring the party invites and signage! 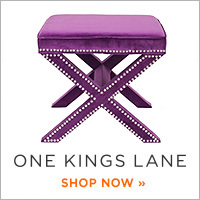 Each item added the perfect touch to a special day! And thank you, kind readers, for supporting those who help keep Sparrow Soirees moving along. For the party favor bag items, please visit Sparrow Soirees’ store on amazon.com.